ImpediMed Limited, a Carlsbad, California-based global medical technology company that has announced the US commercial launch of its L-Dex system for the clinical assessment of lymphedema, has chosen Maccabee as their public relations, content marketing and social media agency. L-Dex is the first product of its kind to utilize bioimpedance spectroscopy (BIS), a non-invasive system for measuring tissue composition and fluid status. Maccabee will serve ImpediMed in partnership with Minneapolis-based StoneArch, ImpediMed’s healthcare marketing agency of record. 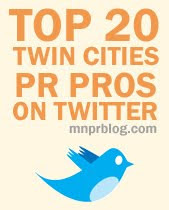 Thrice-named one of Minnesota’s “100 Best Companies To Work For,” Maccabee is a public relations and online marketing agency providing clients with exceptionally strategic and creative media relations, social media strategies, inbound/content marketing and corporate communications counsel from its headquarters in the North Loop District of downtown Minneapolis. Learn more about Maccabee at www.maccabee.com and www.maccabee.com/blog, and find the agency on Facebook, Twitter, LinkedIn, YouTube and Pinterest.